Dry . . . Dreary . . . Doubtful . . . DULL. 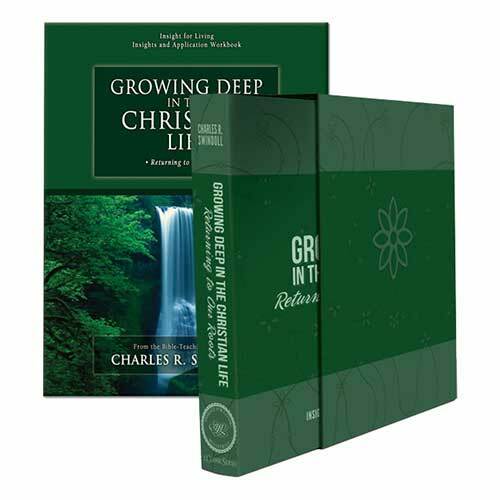 Growing Deep in the Christian Life is the second release in our new Classic Series line. Our Classic Series have higher quality packaging with a binder and slipcase to hold the CDs. And this series includes a bonus audio CD titled, Conversations with Chuck. In an informal setting, Chuck answers questions about this series as a whole and about practical aspects of specific issues—possibly a few that you’ve been wondering about! Don’t miss this chance to “pick Chuck’s brain” on foundational subjects. His Coming Is Sure . . . Are You? Until He Returns . . . What? Worship: Let It Shine! Let It Shine! Growing Deep in the Christian Life: Returning to Our Roots. Copyright © 1985, 1991, ℗ 2011, 2014 by Charles R. Swindoll, Inc. All rights are reserved worldwide.